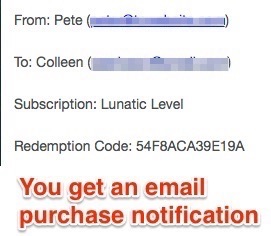 Generate more subscriptions to your publication by letting friends and family buy gift subscriptions! 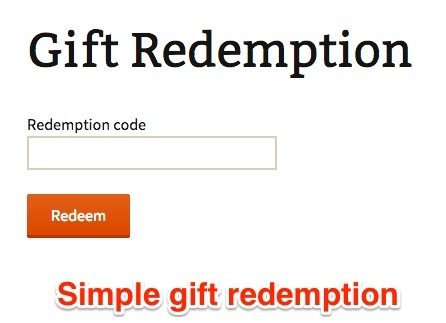 Gifter can choose the date they want to have the gift subscription delivered. 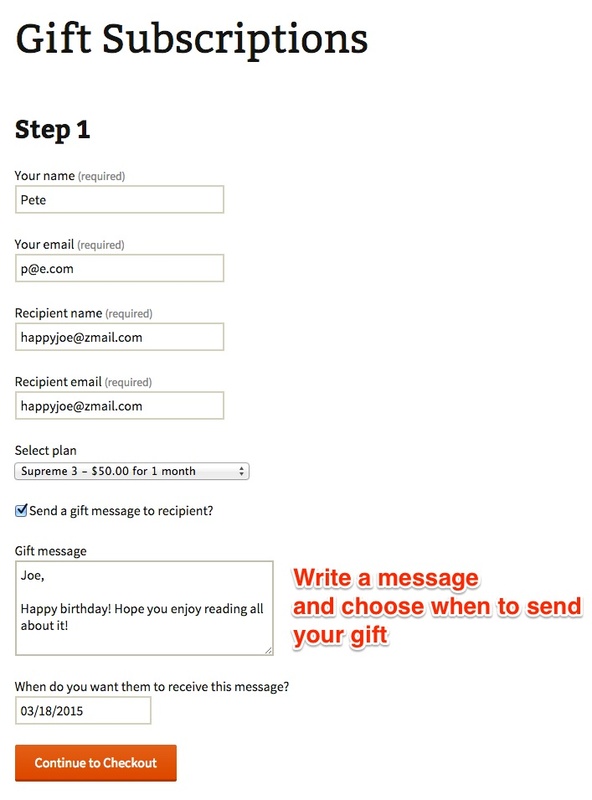 EG they can choose to send the gift on the recipients birthday or on Christmas. 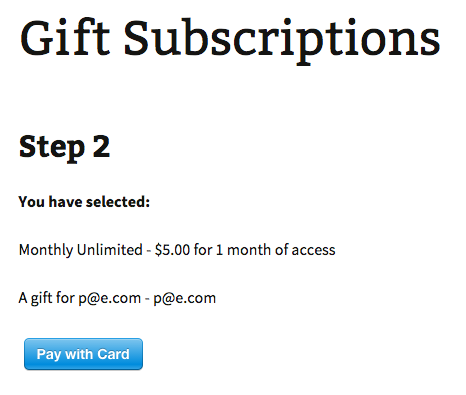 All gifts are fixed length only to avoid awkward future recurring charges. 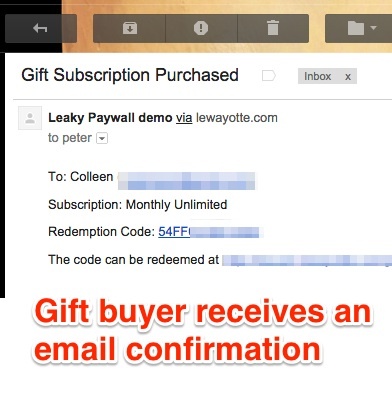 This means if you sell a yearly recurring level of subscription, the gift buyer can only purchase a 1 year fixed length gift subscription. 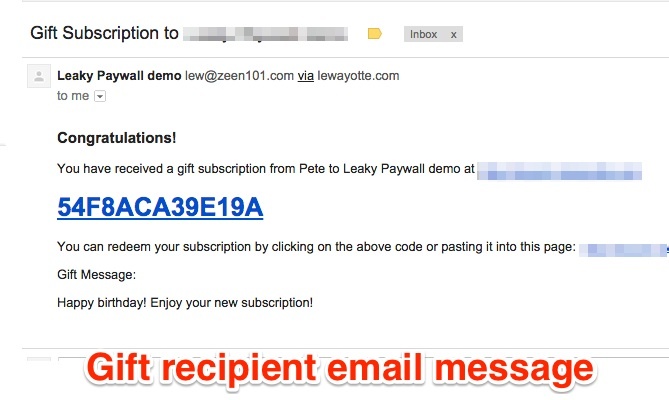 This will save you refund headaches down the road.